Reproduced from the NRA Imperial scores book. It may help some of you follow the correct process for recording convertible sighters. This entry was posted in Uncategorized on 07/26/2018 by Captain Comms. This entry was posted in Uncategorized on 06/21/2018 by Captain Comms. The below was obtained by a shooting organisation through a FOIA request, it is from an ACPO – whatever it is now called – position paper from 2015. We have no reason to doubt its authenticity and much fits with long standing police aims. They are now working through their ‘wish list’ to be done in stages as the opportunity arises and of course depending how much fuss is kicked up by shooting organisations and the shooting community (that’s us). Introduction of magazine capacity limits for rifles – not specified but assume 10 or possibly less, 5? Old spec deacts – police want to make it a criminal offence to be in possession of a deactivated firearm that has not been deactivated to the CURRENT standard. Anyone with an old spec deactivated firearm will have to have it done to the current standard if they wish to keep it. Creates lots of new criminals. Coincidentally the Government has now stopped its prison closure programme……. The current Home Office Guidelines on Firearms law to become mandatory and binding – but only after the police have re-written them. So there you have it – as we said, winter is coming. If they get the current proposals through relatively easily expect things from the above list to be presented for ‘consultation’ quite quickly. The shooting organisations are moving into action and so will you by writing to your MP to object and request him/her to object to any changes to the current firearms legislation currently being proposed/suggested. This entry was posted in Information, Uncategorized on 10/15/2017 by Captain Comms. Unfortunately this Sunday’s shoot is cancelled as the cycle race prevents access to the range. The next shoot in two weeks time on Sunday 14th is scoped rifle and this should be ok however we do need to do some work on the range that weekend so there may be a work party as well / the day before / instead of – not sure exactly what or when yet. This entry was posted in Uncategorized on 07/29/2016 by Captain Comms. We held the annual Boar Trophy Team TR shoot today with teams from Horsham, Bookham, Chichester, Wandsworth and of course the home team Dorking. It was an overcast and, at times damp day but it was well supported and we raised about £265 for the Royal British Legion’s poppy appeal. After the shooting at 300 yards we held the traditional two minutes silence to respect the fallen of conflicts past and present. 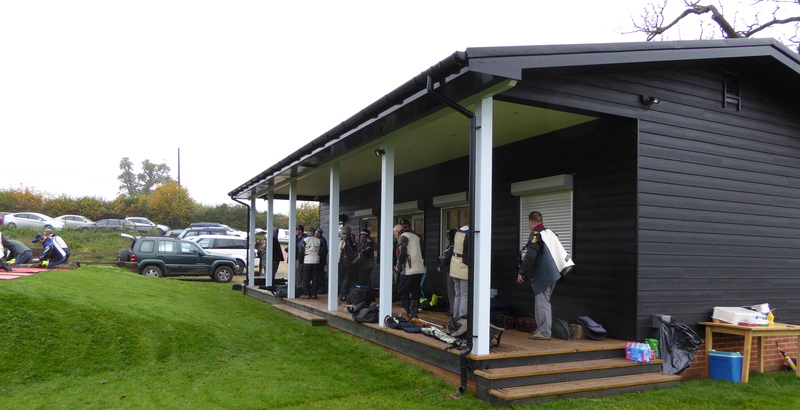 Instead of the usual 500 yard shoot we moved it to 600 yards to make better use of the club house in the damp weather. the club house was as usual very much appreciated with it being warm and dry with proper facilities and a hot cup of something. 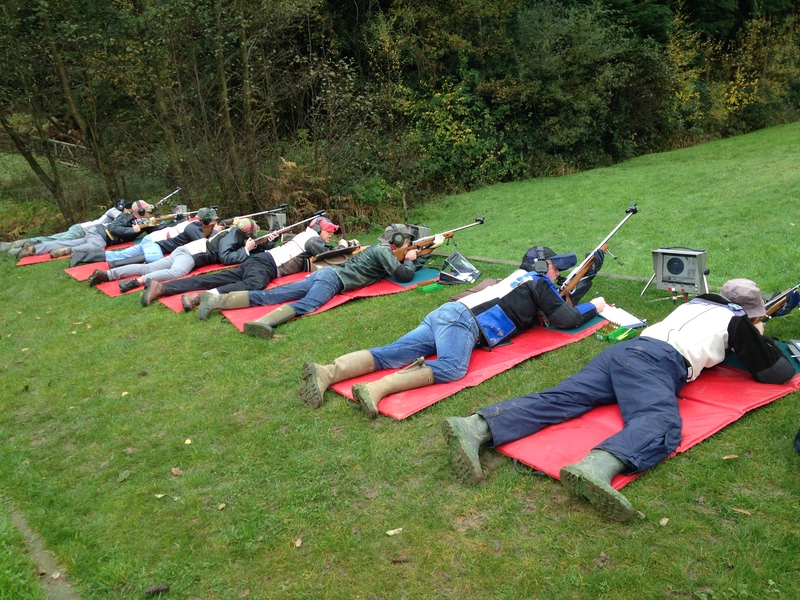 The tem shoot was won by Horsham with 291.27, Wandsworth with 284.28 second. the results are on the page for the team shoot. We were delighted to welcome some new shooters for this TR event. 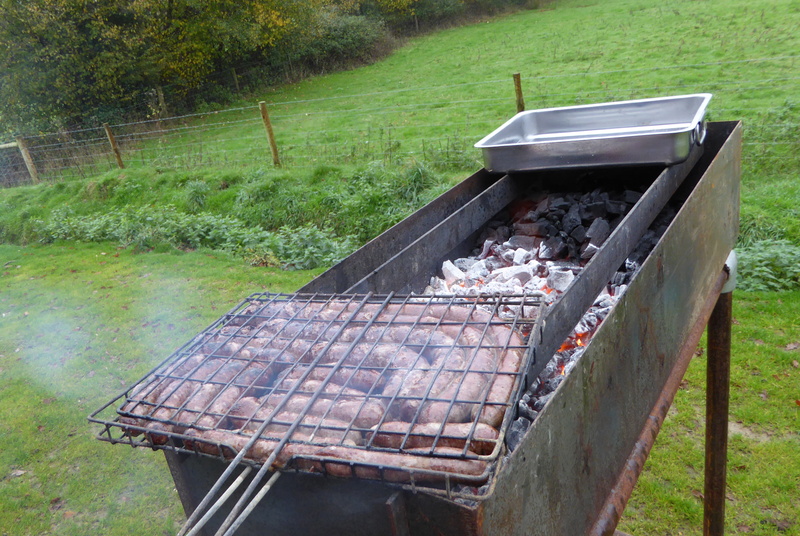 Of course the catering was once again provided by Barry who not only shoots the deer but makes the sausages himself (they are to die for) and provides them for the club members and our guests at no charge. He has provided this many times of late and we very much appreciate his effort and (very tasty) contribution. So Thank you to all of you who came along, those who helped, as you contribution no matter how small (and many well above and beyond) who made the event possible. This entry was posted in Competition, Uncategorized on 11/08/2015 by Captain Comms.